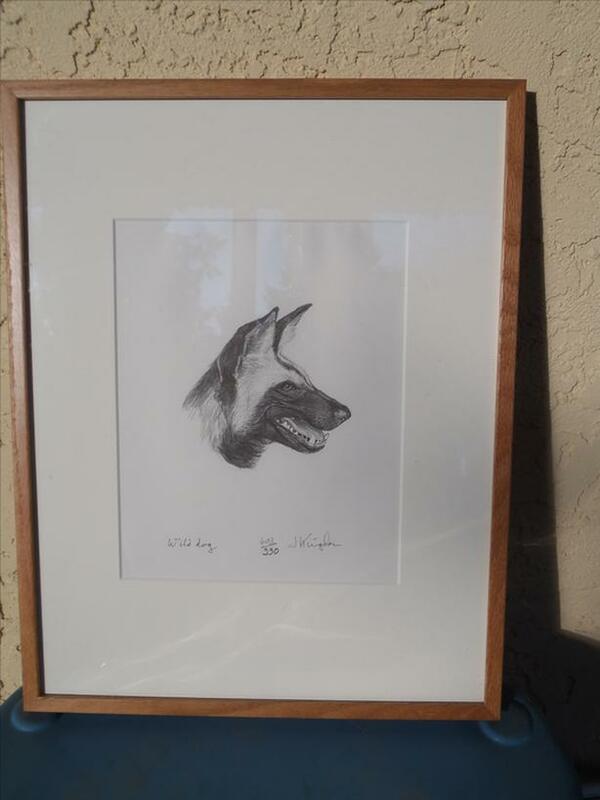 "Wild Dog" limited edition print signed by artist J. Kingdon number 403 of 990. Finished dimensions: 19" high X 15" wide. One of set of four. Can be sold separately. Jonathan Kingdon was born in Tanzania in 1935 and is 83 years of age. He is a zoologist, science author, and artist; a research associate at the University of Oxford. He focuses on taxonomic illustration and evolution of the mammals of Africa. He is a contributor to The Oxford Book of Modern Science Writing.